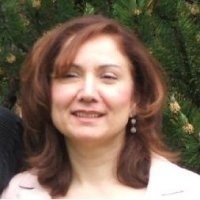 Simrit Parmar, an educator with over 20 years of experience in the field, is currently Coordinator of the Preparation for University and College program at Grant MacEwan University. In addition to a Baccalaureate degree in Education, Simrit has a Master of Arts in English Literature and a Master of Arts in Communications and Technology. Simrit is particularly interested in how educational institutions can offer online students a quality experience which harnesses the advantages of online delivery and mitigates its inherent drawbacks. For though the advent of the internet age has made online course delivery increasingly popular due to its convenience and flexibility, yet, there remain unanswered questions about the effectiveness of this mode of delivery. Simrit’s research into the “lived experiences” of online students hoped to shed light on factors that affect performance in online courses.